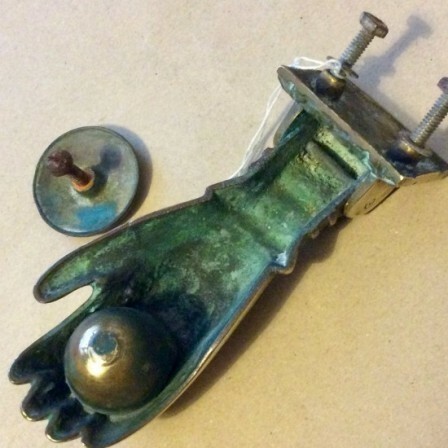 Antique Good vintage brass hand two part door knocker. 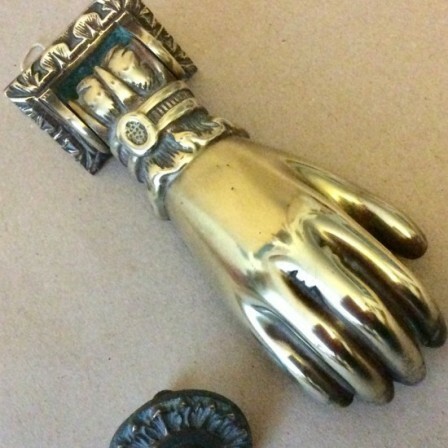 Description: Cast brass ladies hand two part door knocker. 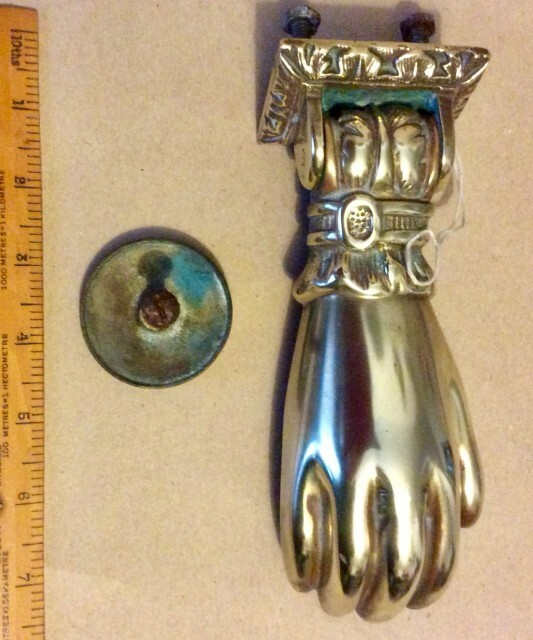 The hand with good casting detail showing her sleeve. The knocker plate a brass half round with a rosette ring. Complete with securing bolts which maybe replacements.